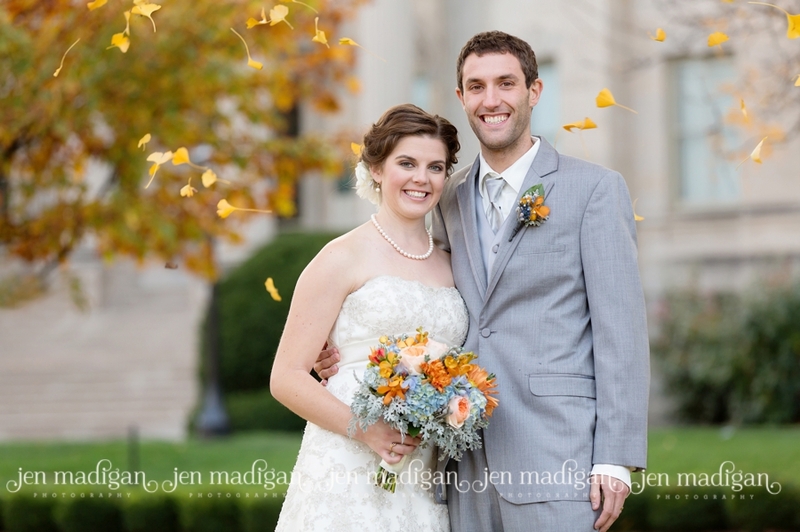 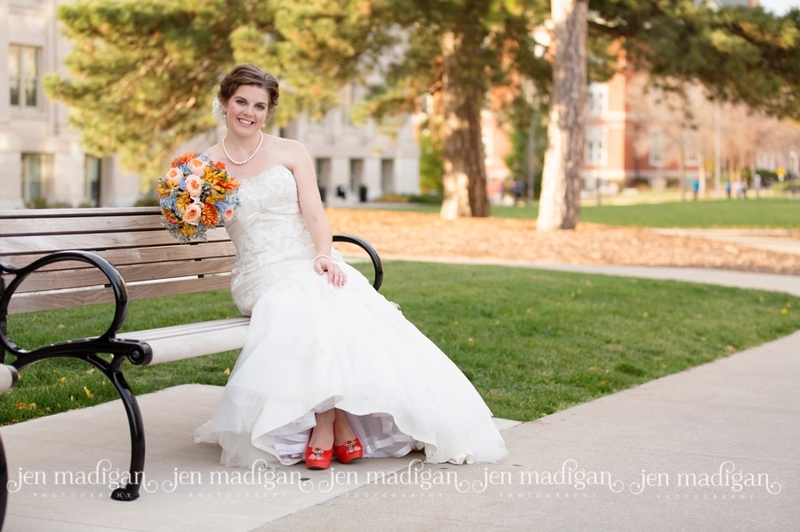 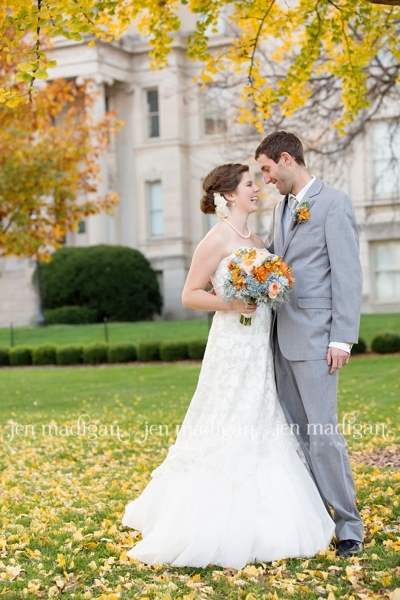 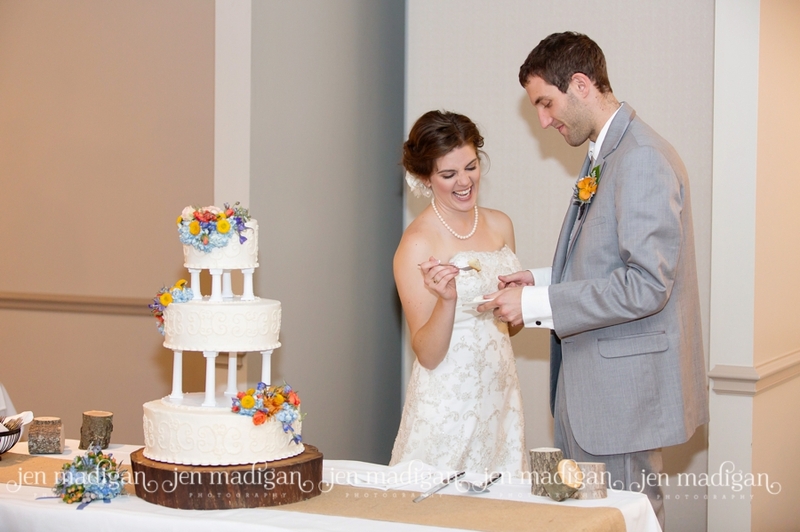 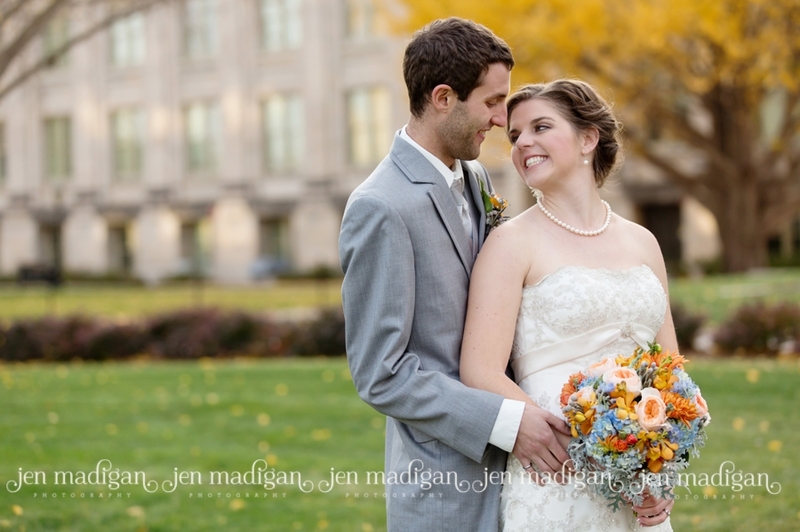 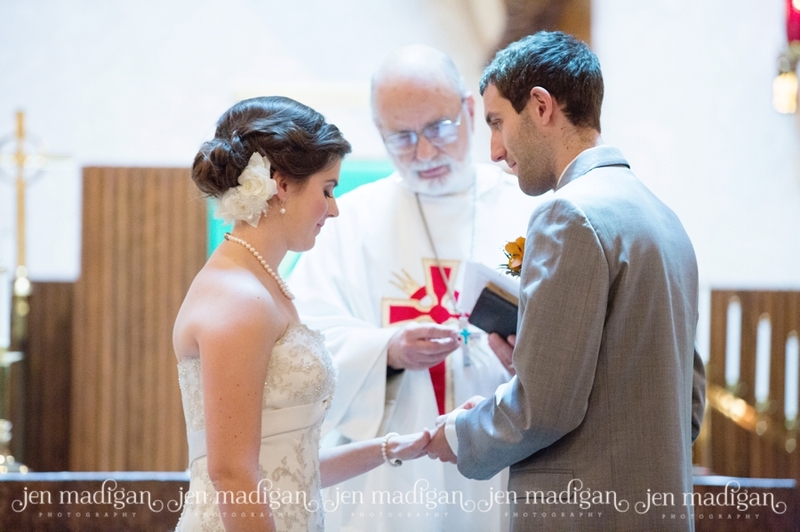 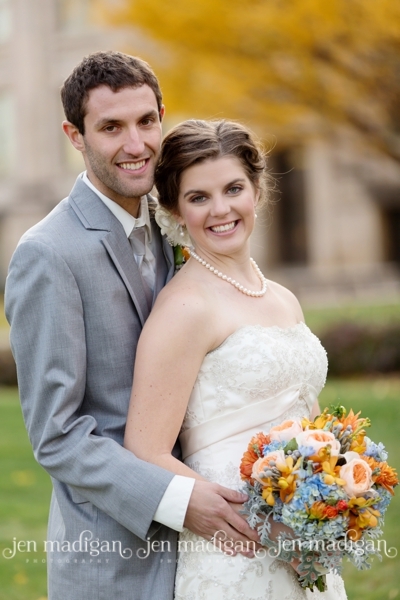 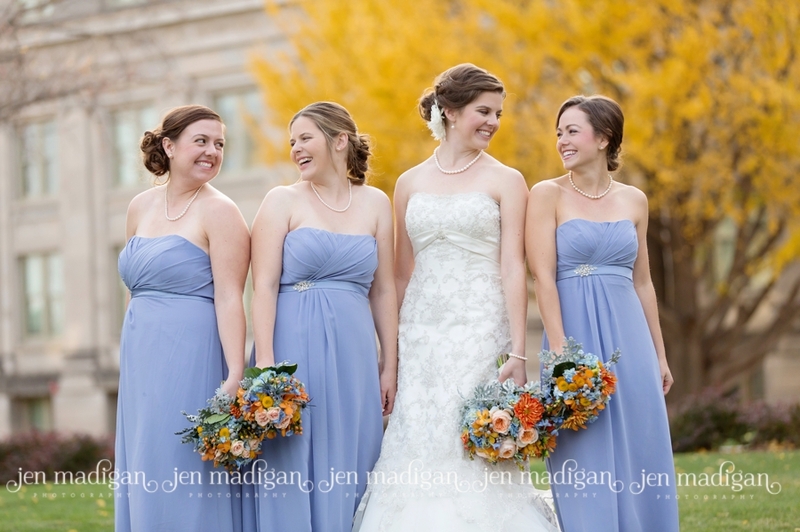 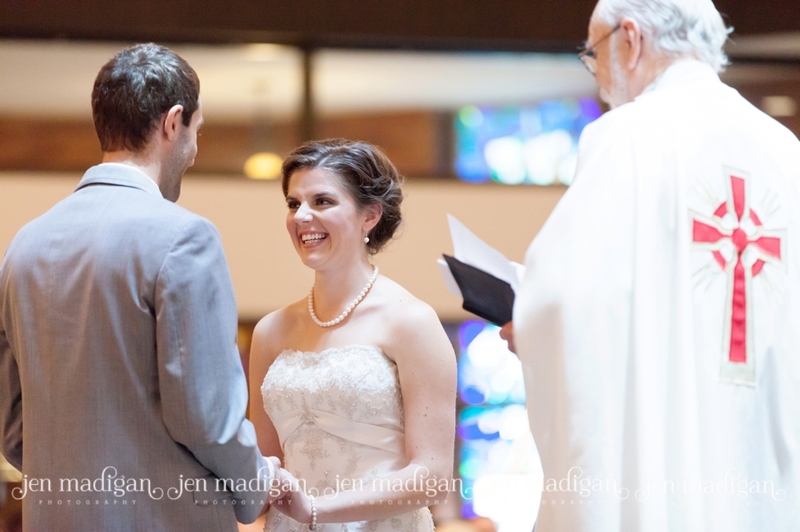 Lindsey and John were married on October 27th, on a beautiful, sunny day at Our Redeemer in Iowa City with their reception at the University Club. 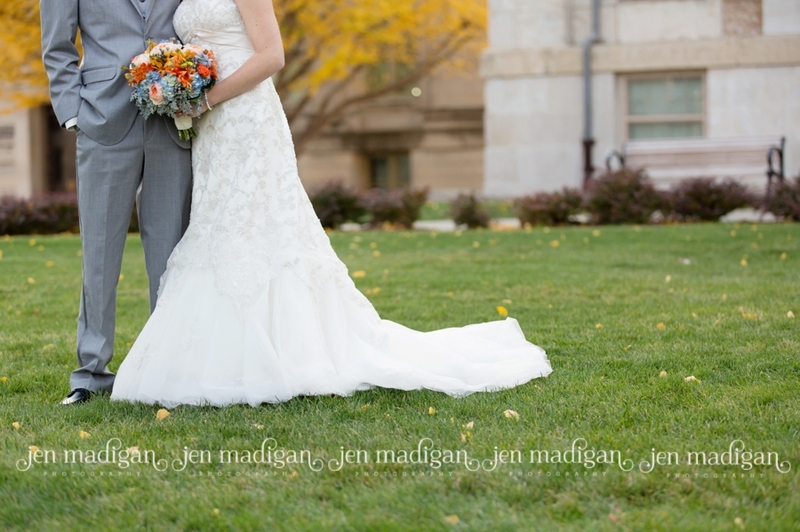 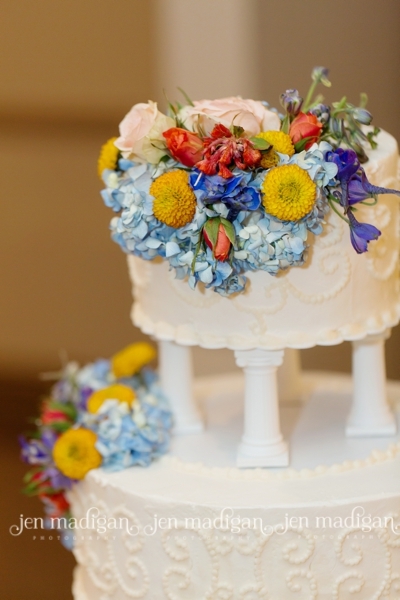 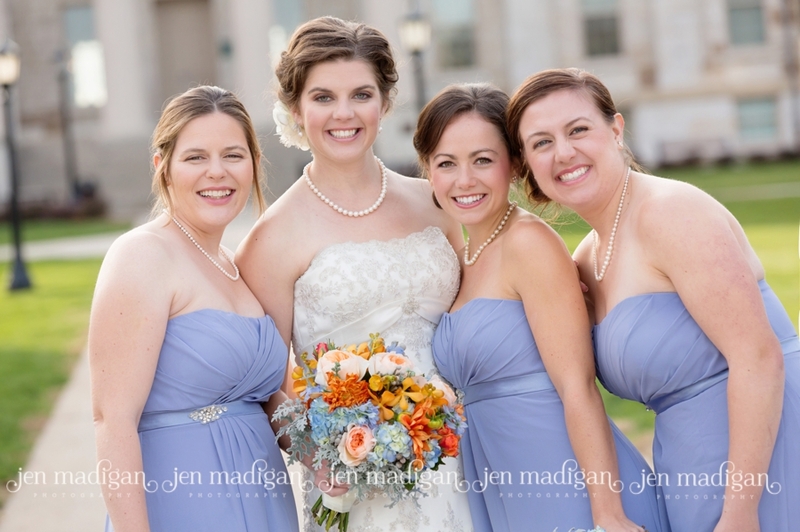 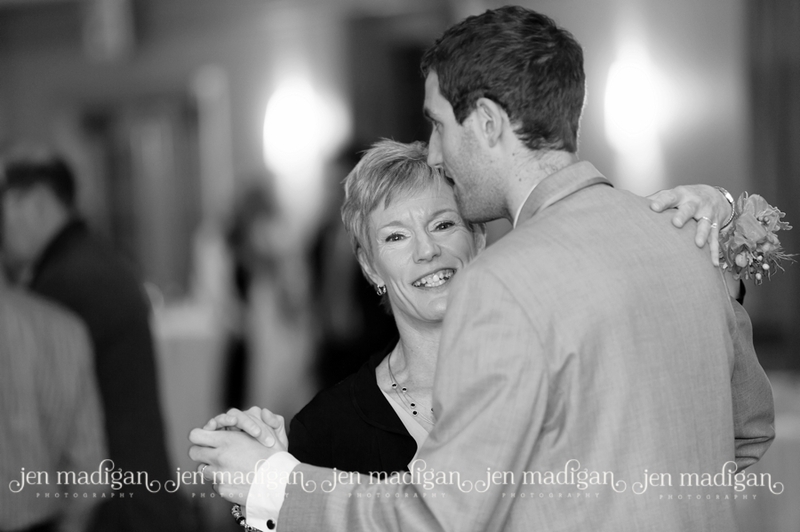 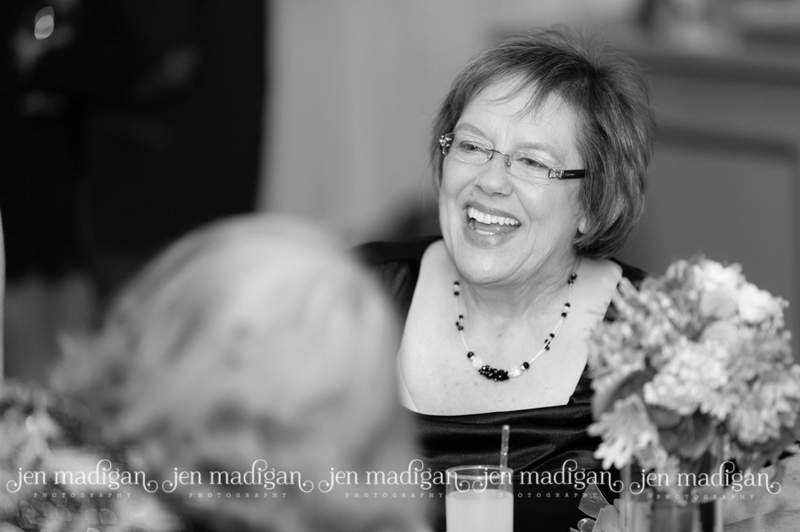 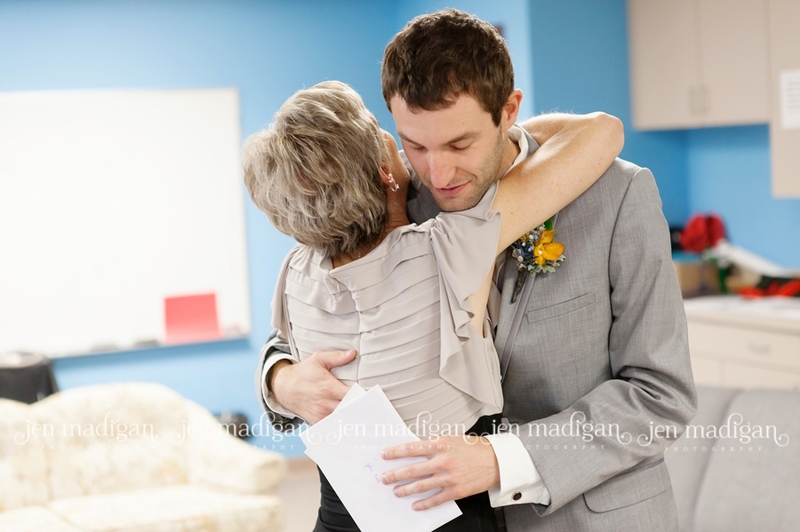 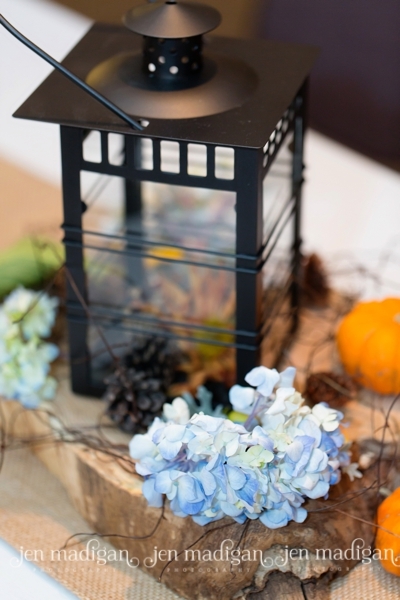 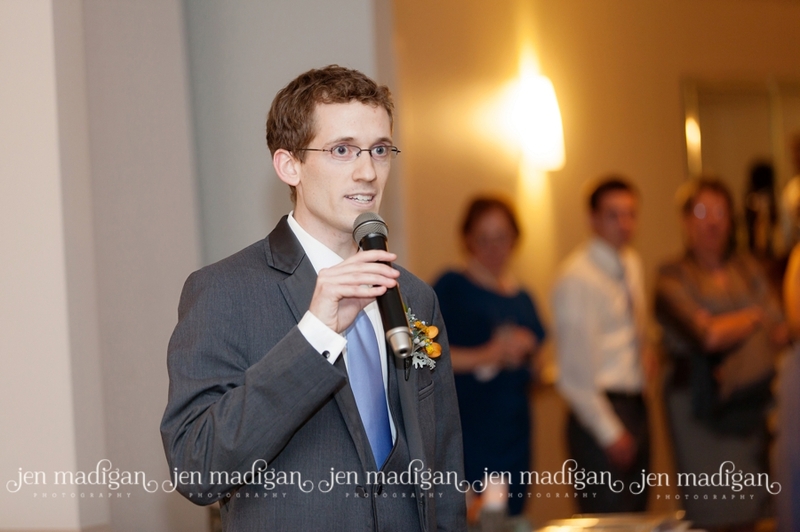 I was really looking forward to this wedding because I got to work with several amazing vendors that I just love (Unique Events, Julie's Fountain of Flowers, Stad's Limousine, and the great staff at the University Club). 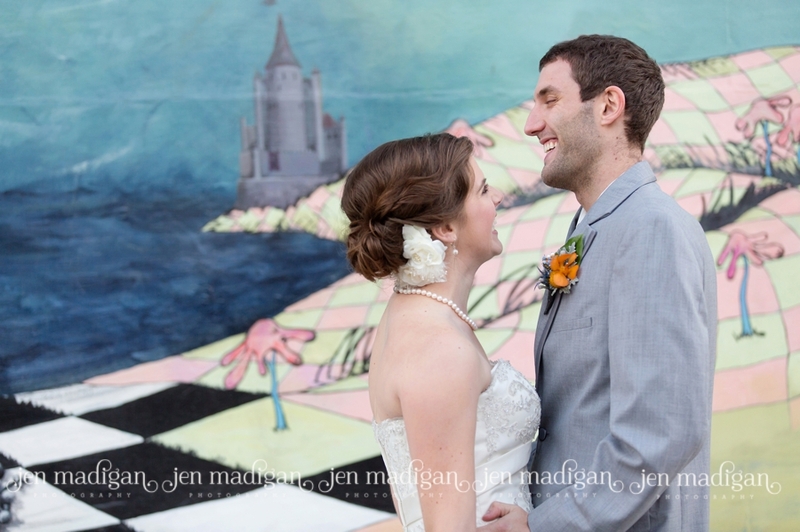 Lindsey and John live in San Francisco, so we didn't get to have an engagement session, but these two met when they were both grad students at Purdue. 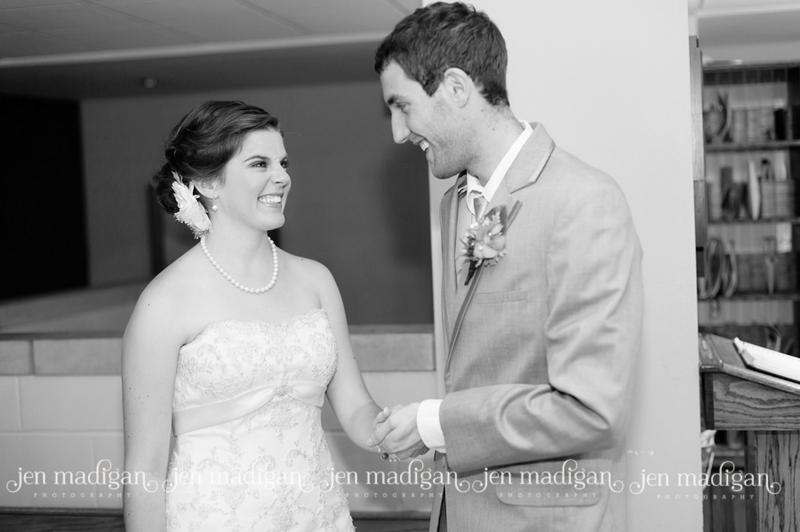 It was so much fun to watch Lindsey and John together on their wedding day, they are amazing people - kind, funny, and very much in love. 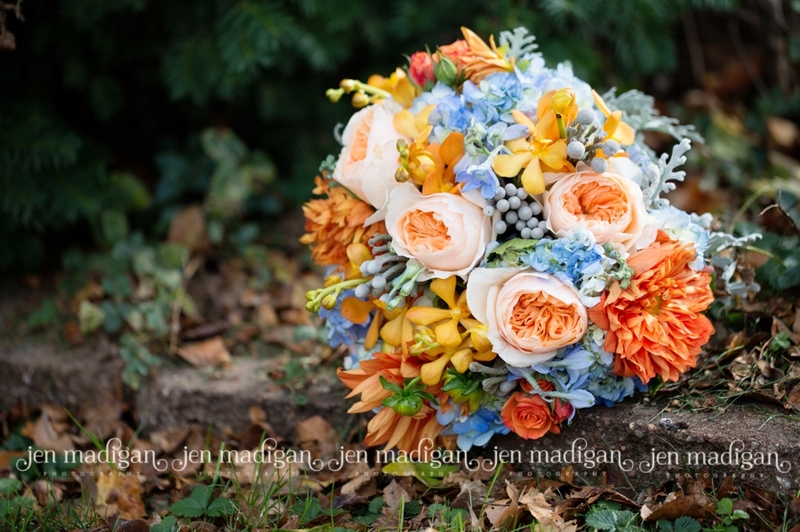 Not only did we have a great time hanging out with Lindsey and John all day, but her family and friends were so gracious and made everything so much fun that I was incredibly sad to leave at the end. 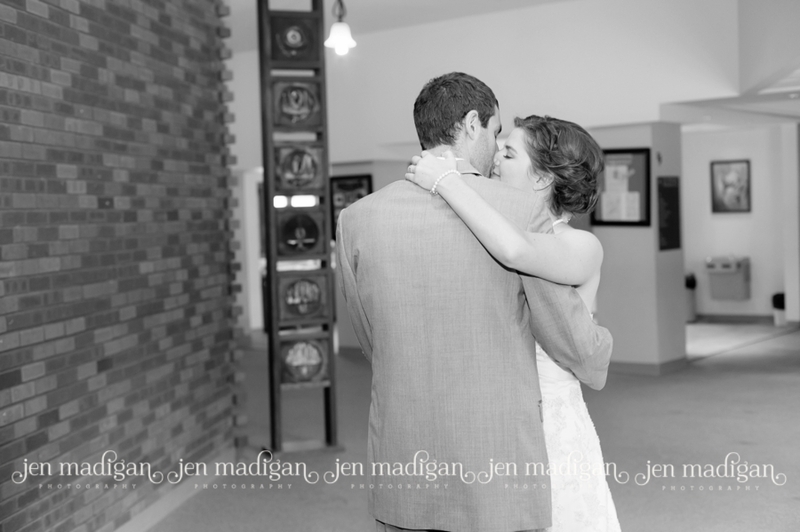 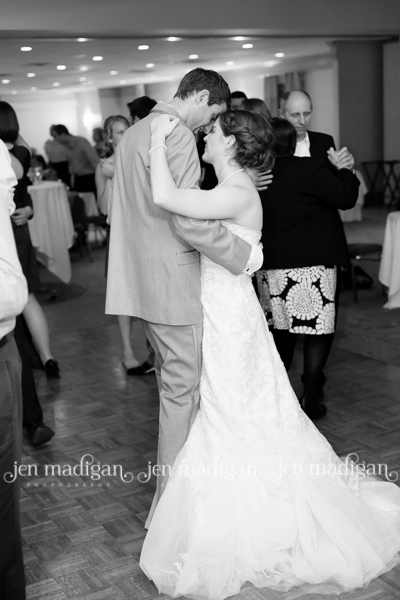 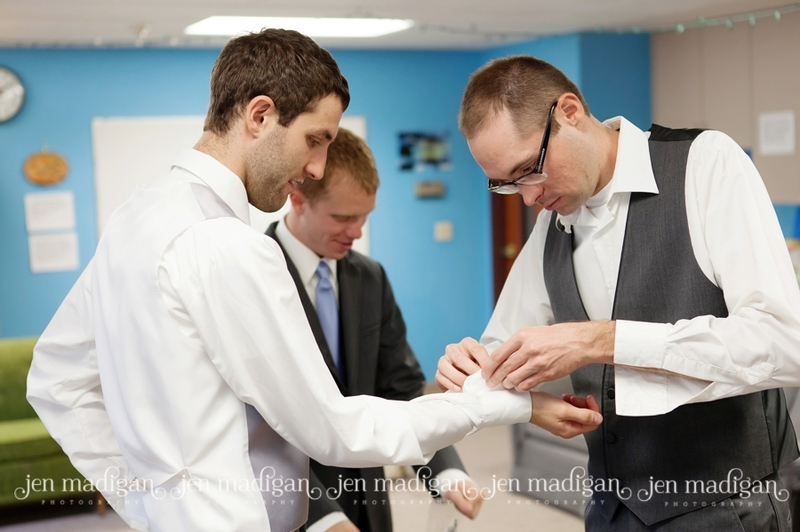 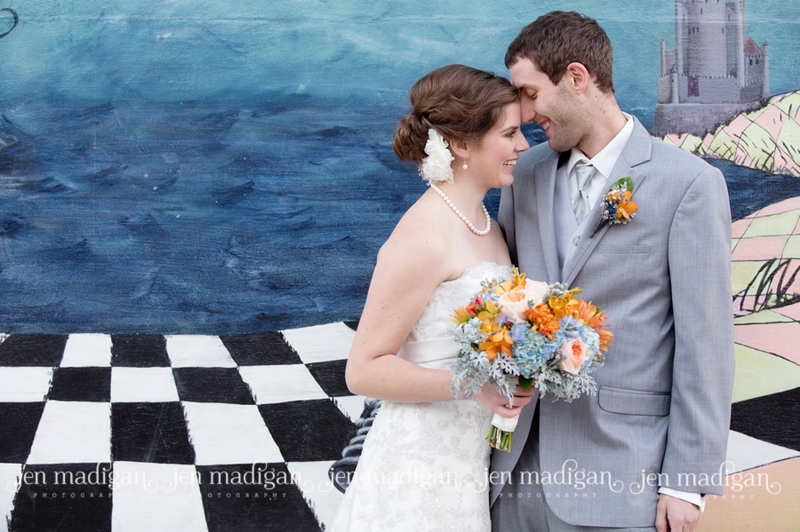 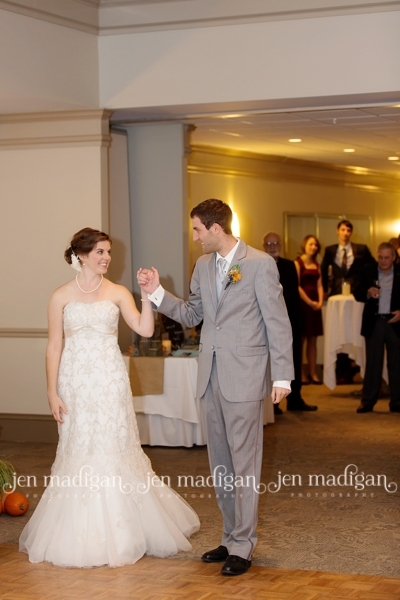 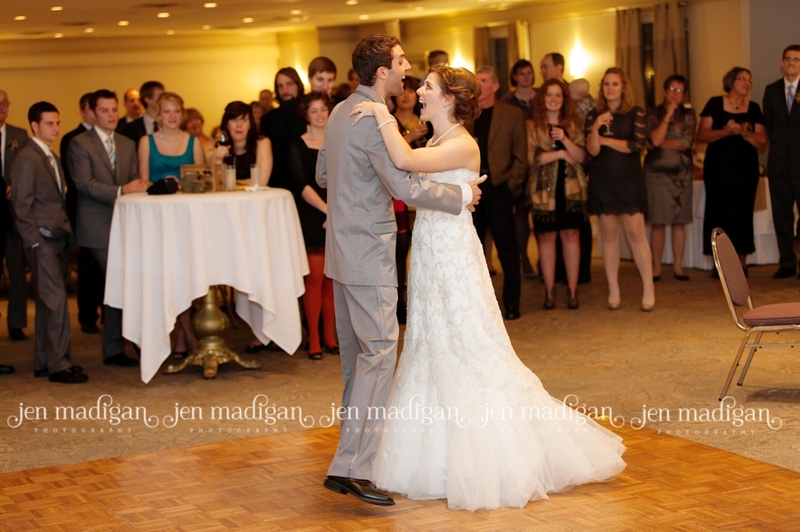 Lindsey and John - I hope you guys had an amazing time on your honeymoon (I can't wait to hear where you ended up going! 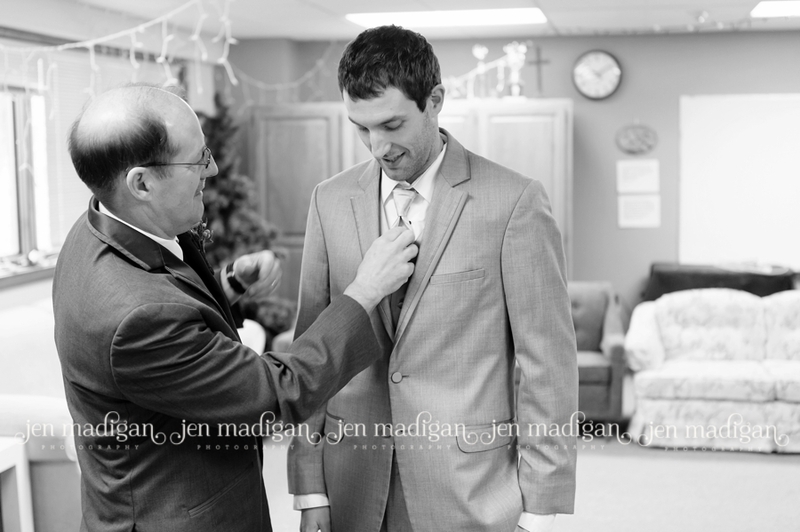 ), and I hope you enjoy this preview. 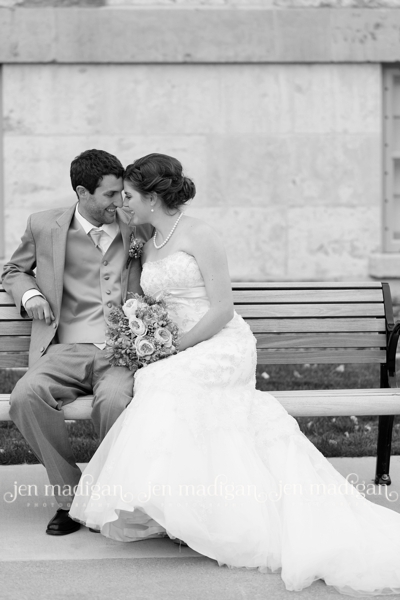 Thank you for choosing us to document your day, we had a wonderful time and everything was so beautiful. 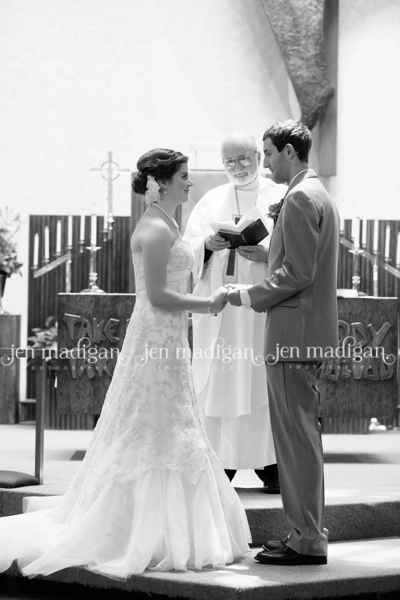 Congratulations again you two!! 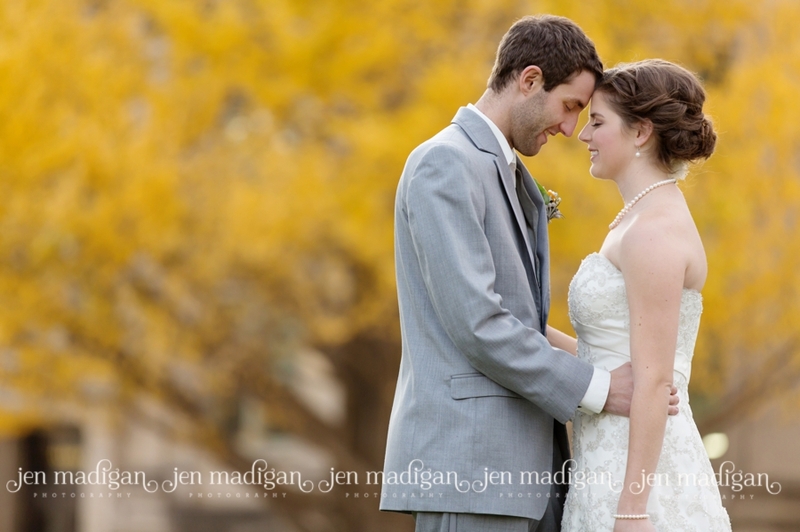 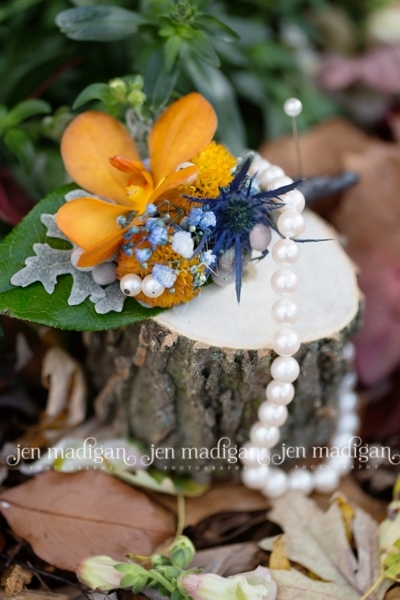 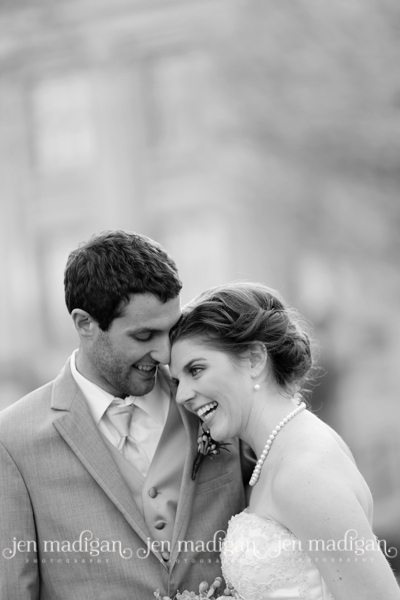 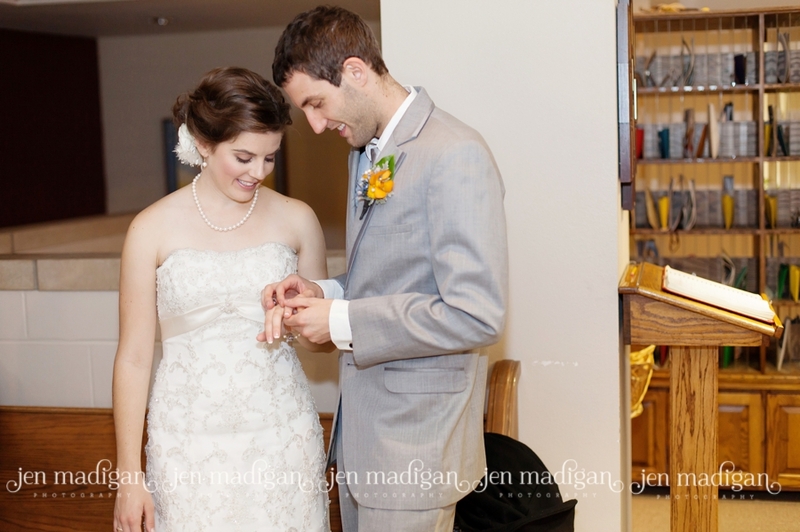 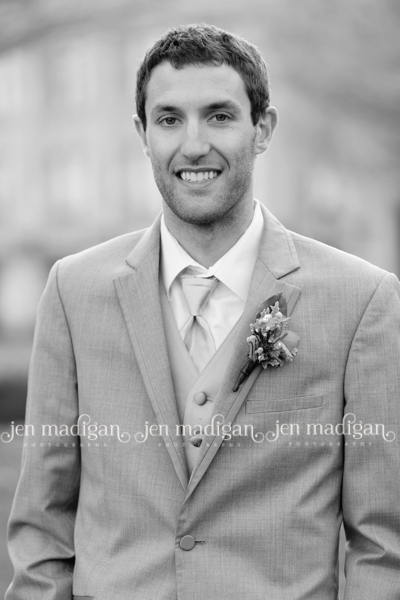 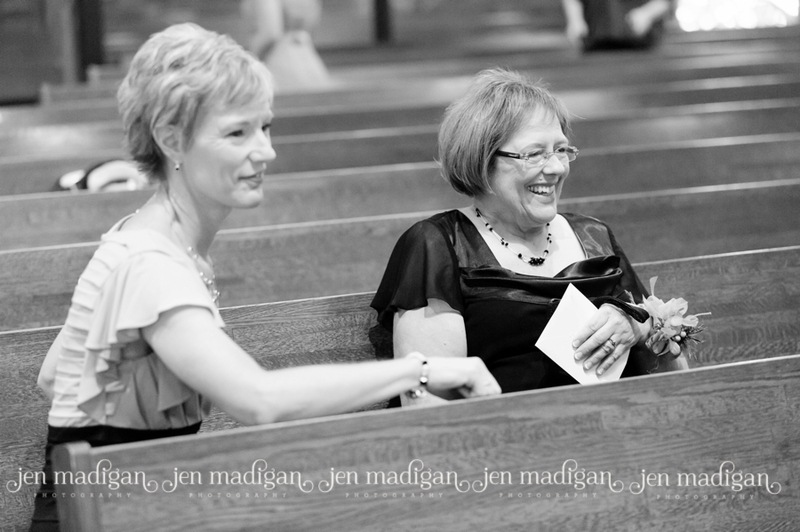 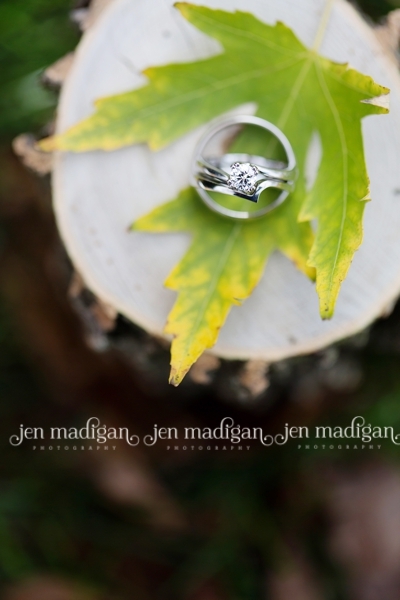 Feel free to check out their custom wedding website with even more photos HERE. 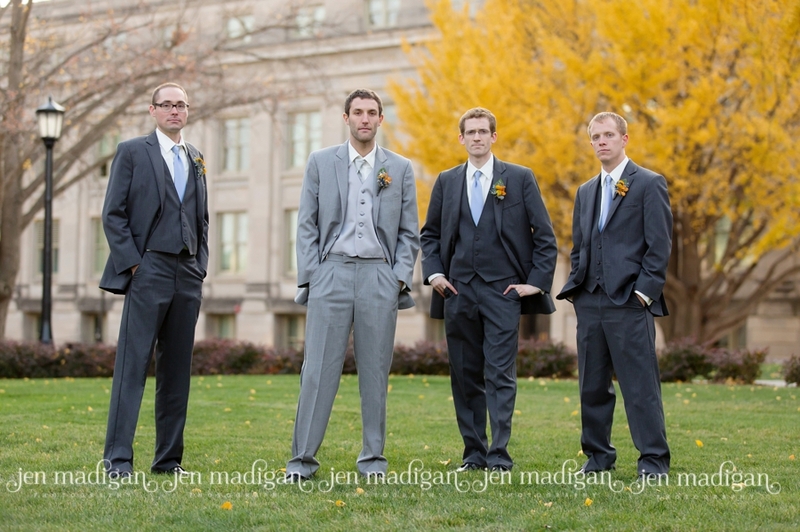 The next five photos taken by Josh. 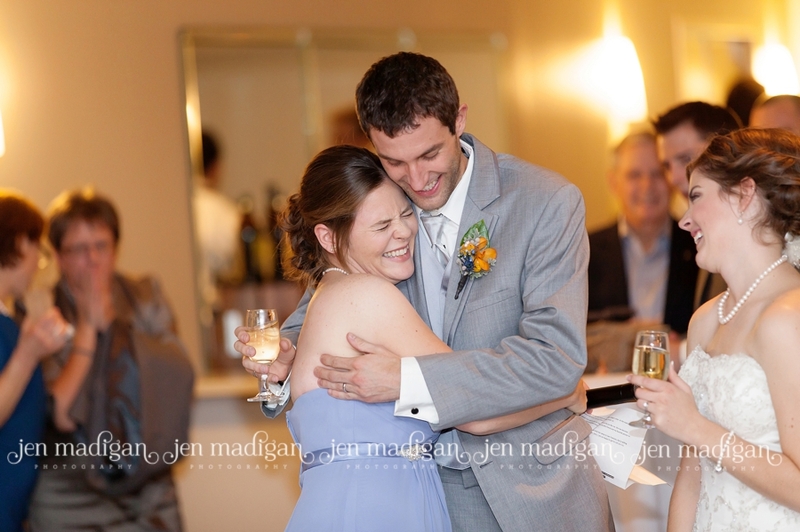 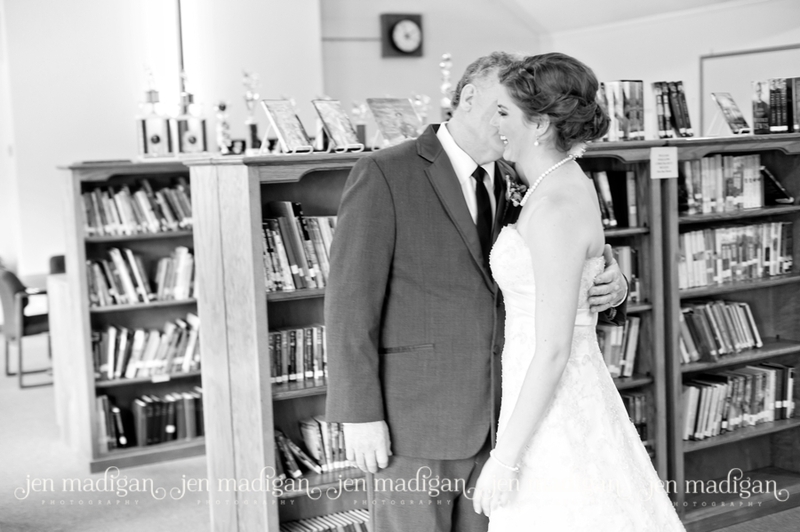 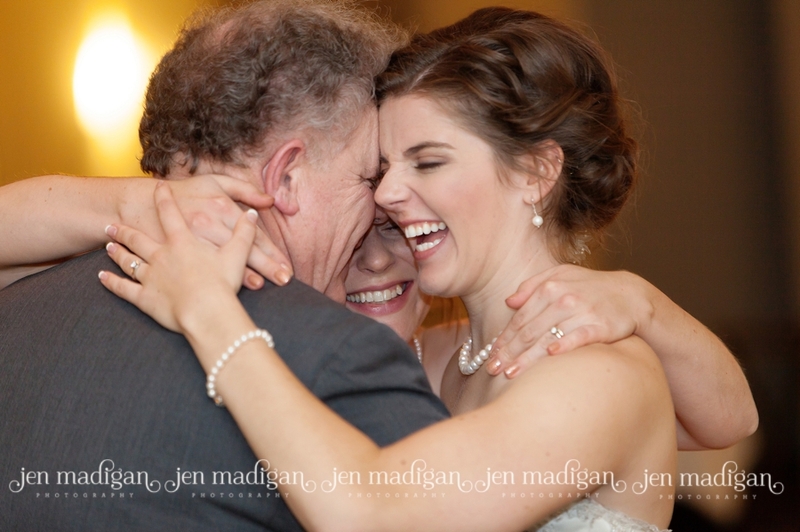 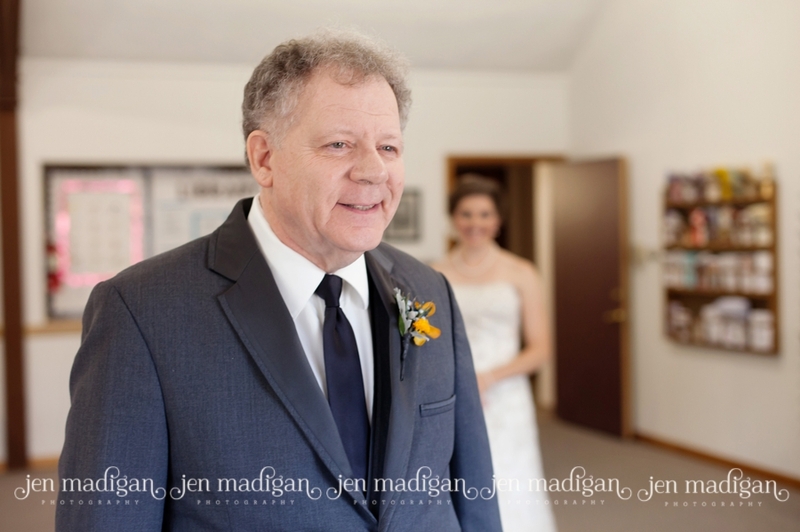 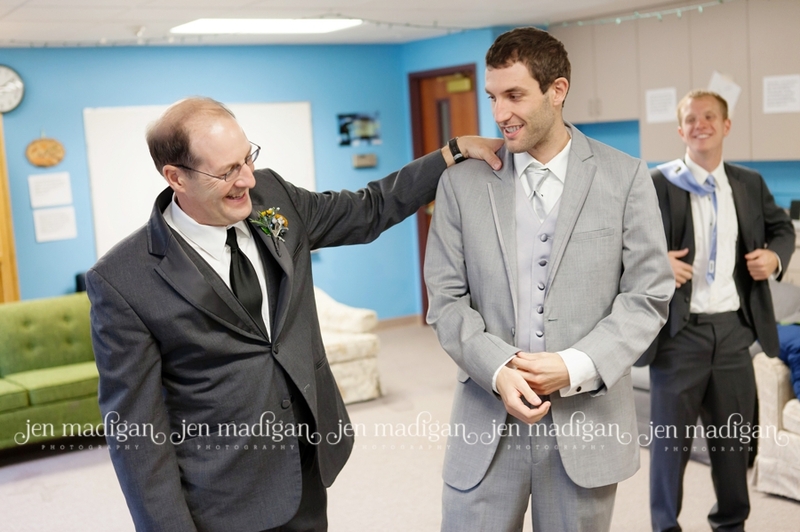 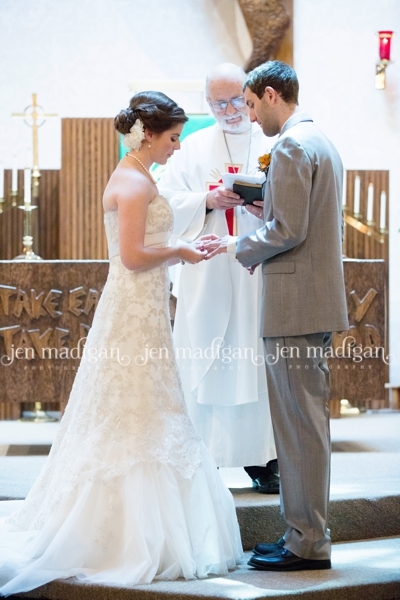 Lindsey and John chose not to see each other prior to the ceremony, but she did want a moment with her dad. 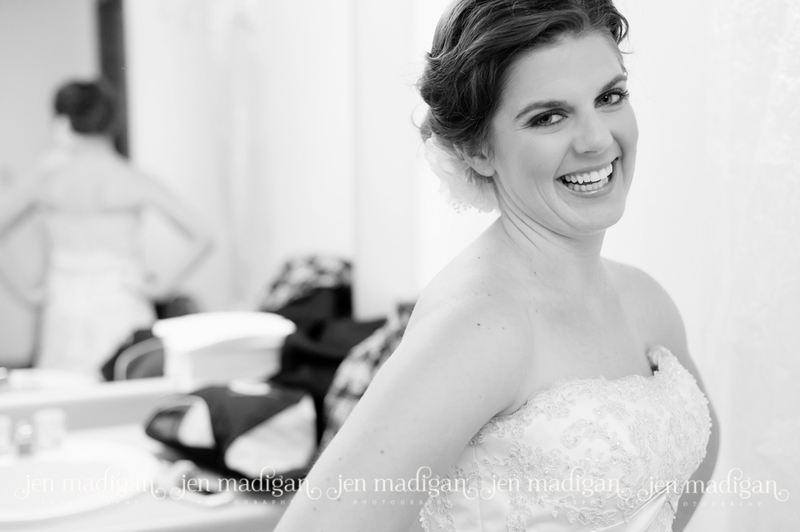 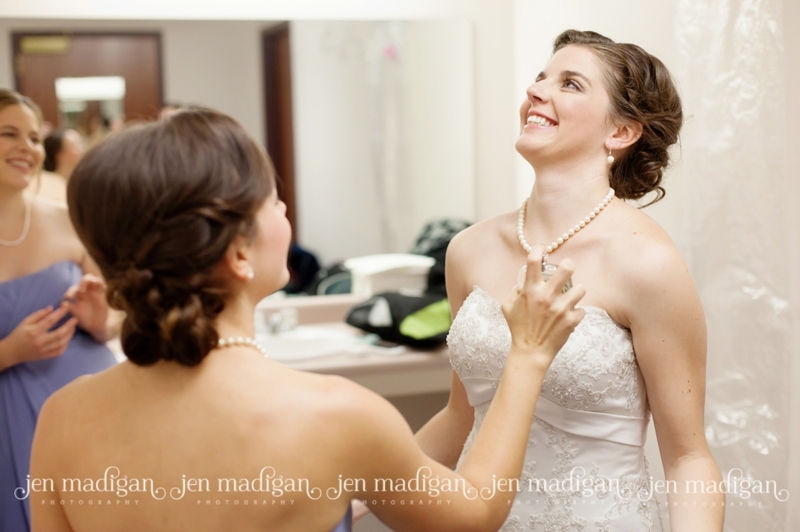 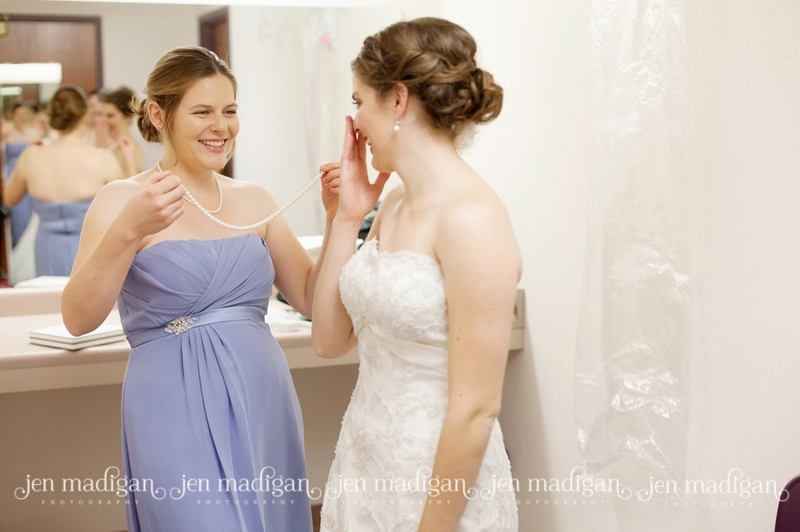 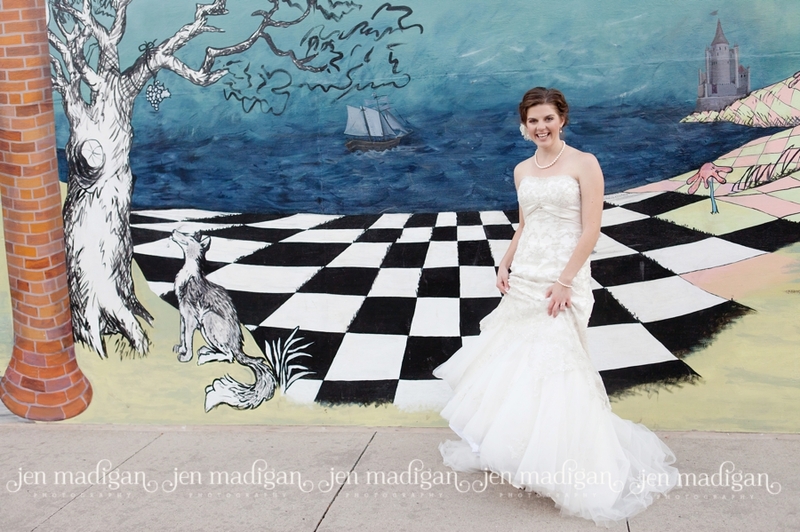 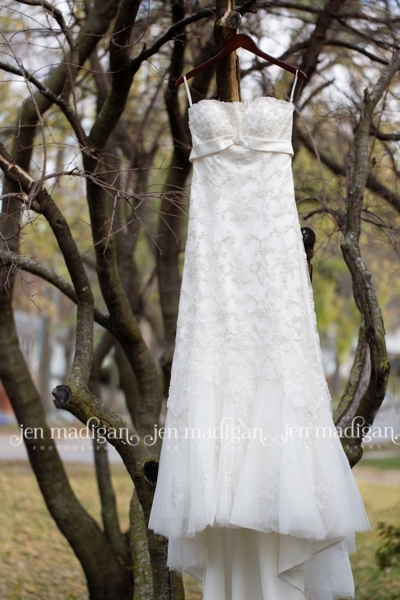 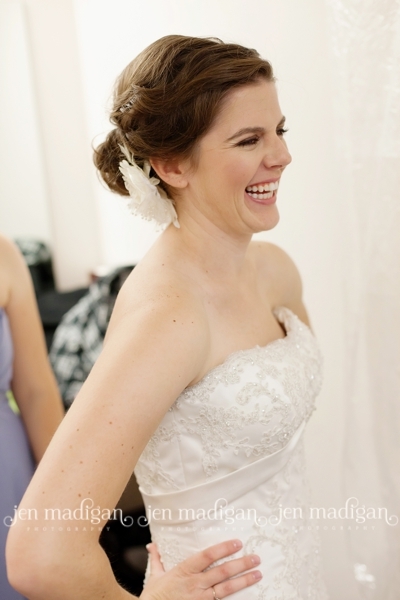 I always love when brides choose to do this! 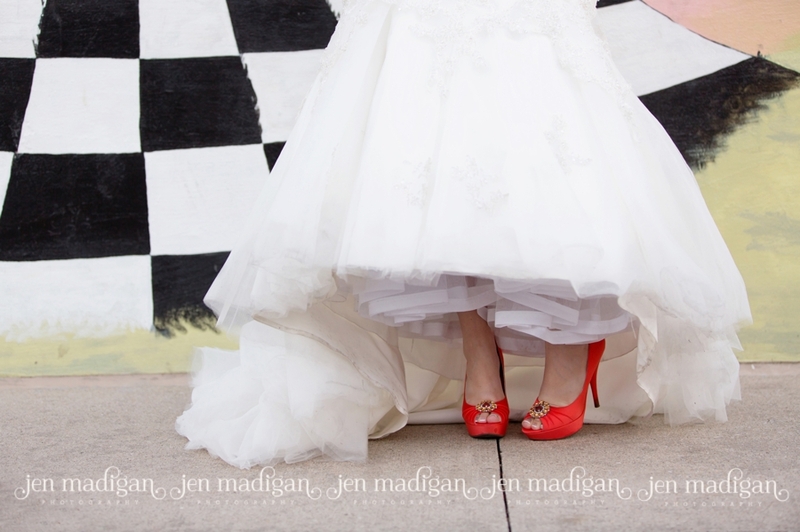 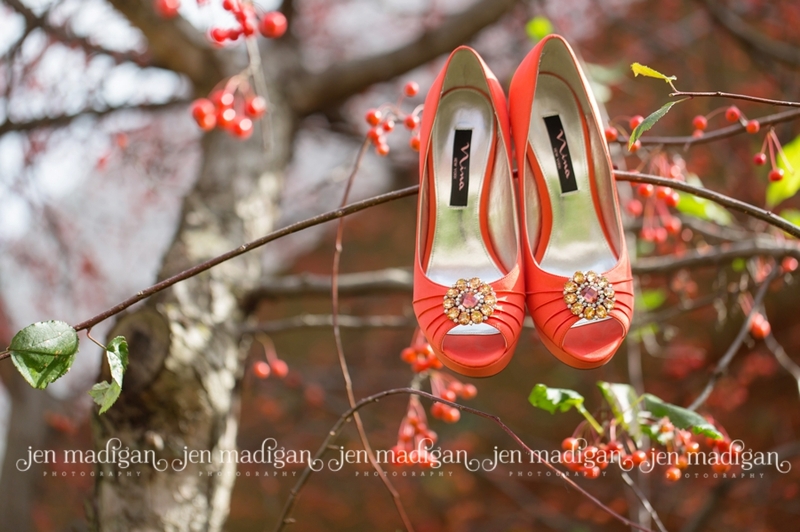 I just LOVED her bright shoes! 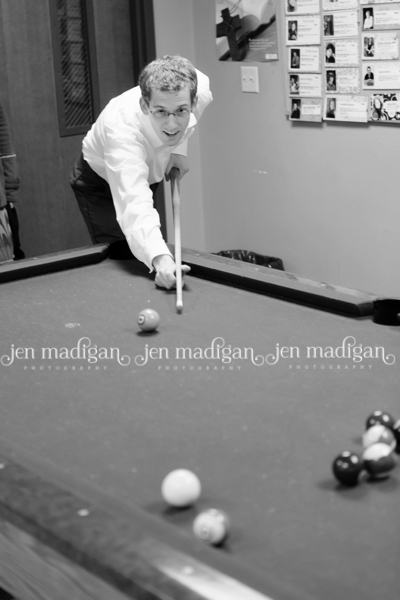 Next two photos taken by Josh. 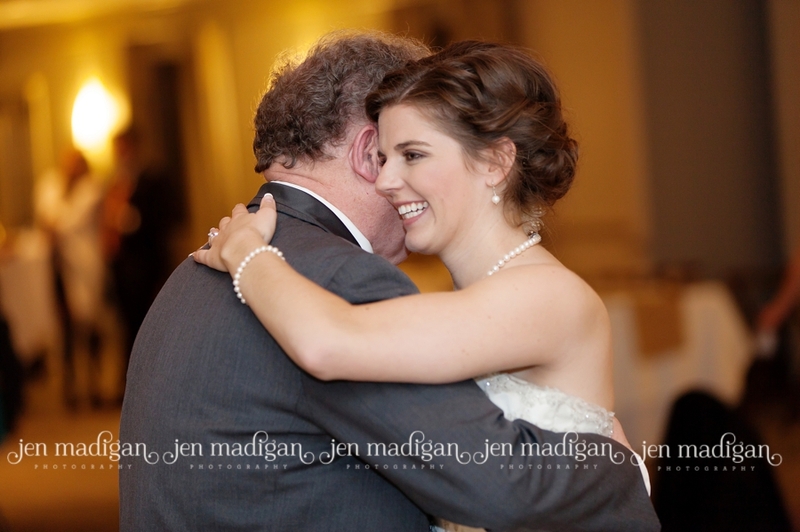 After a minute or so, Lindsey and her dad invited other father/daughter combos to join them on the dance floor. 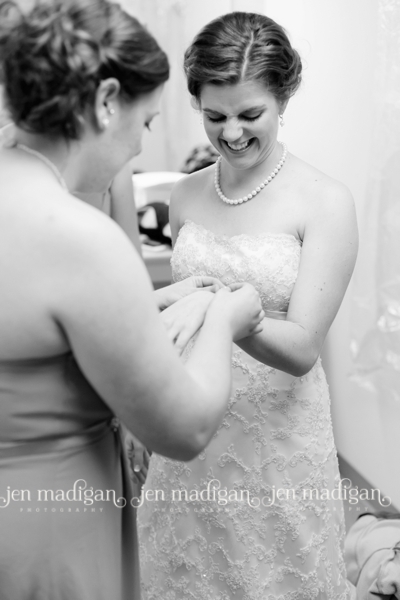 Her sister joined in and I just love this photo. 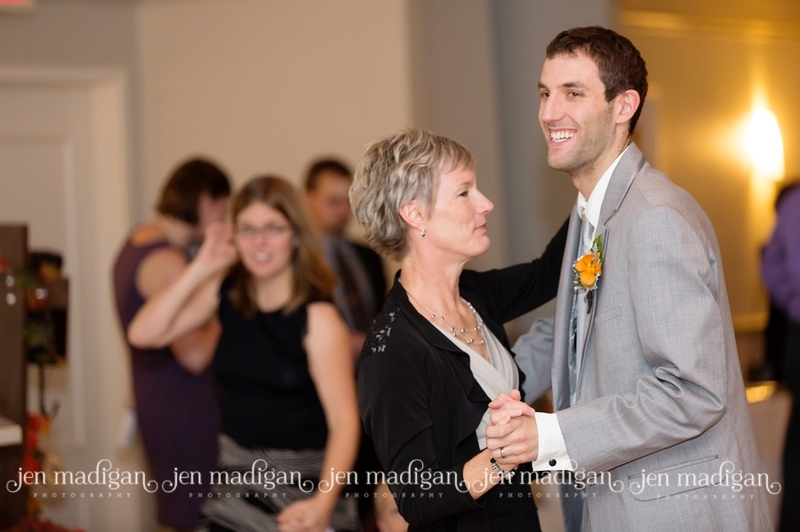 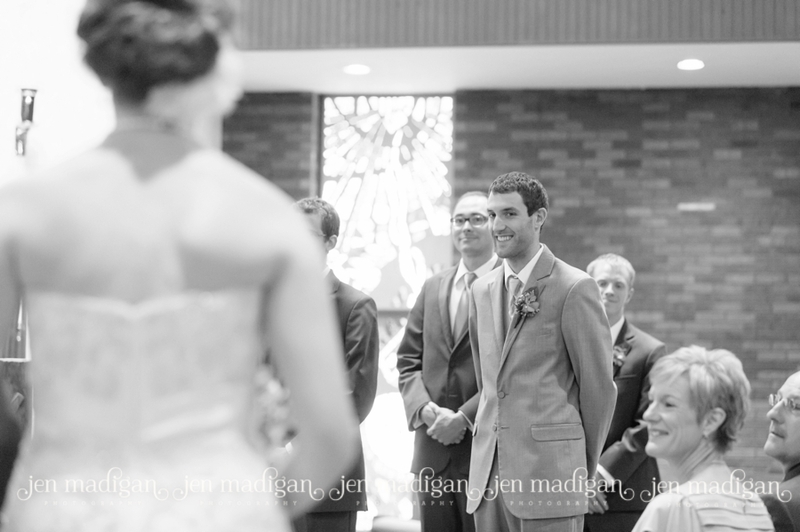 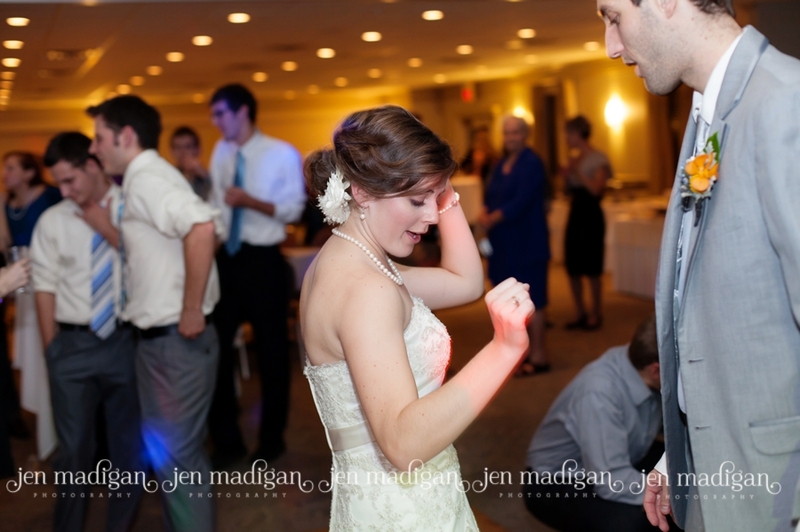 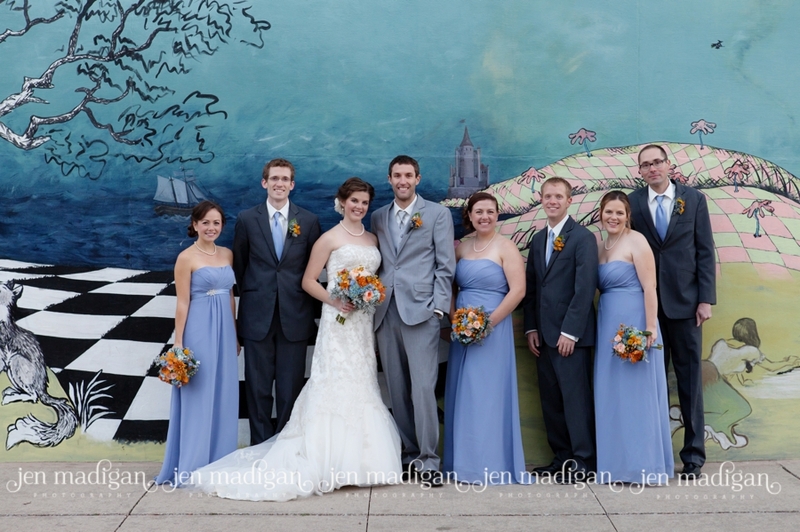 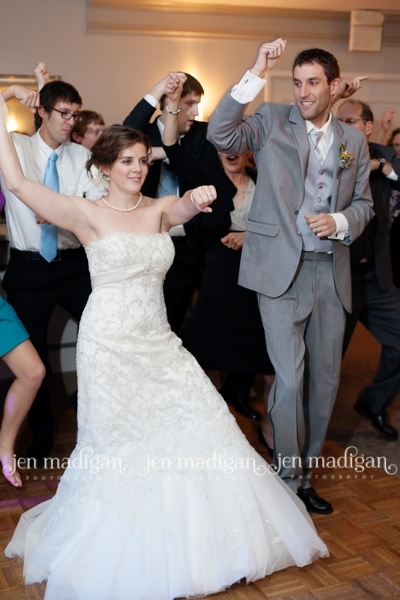 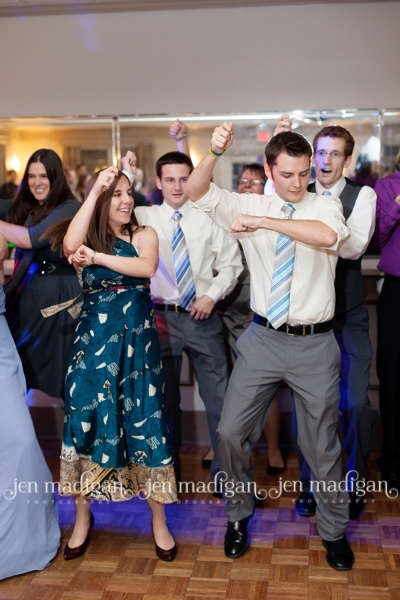 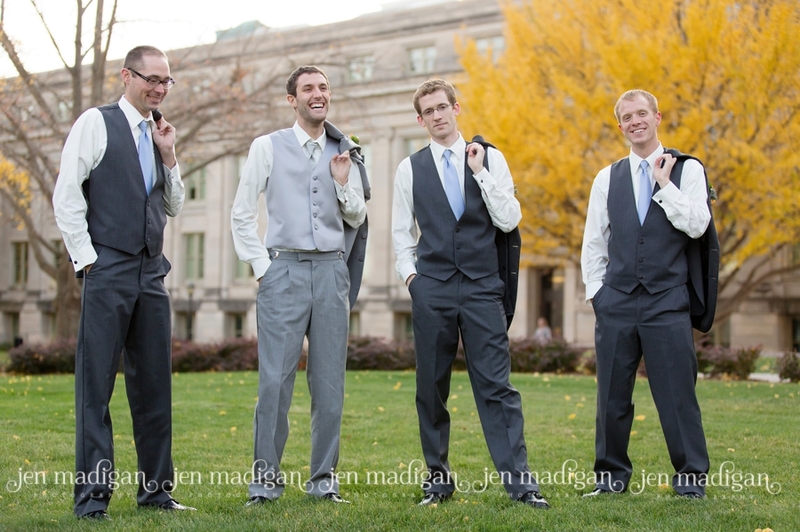 Lindsey and John's friends, family, and bridal party coordinated a flash mob, Gangnam Style. 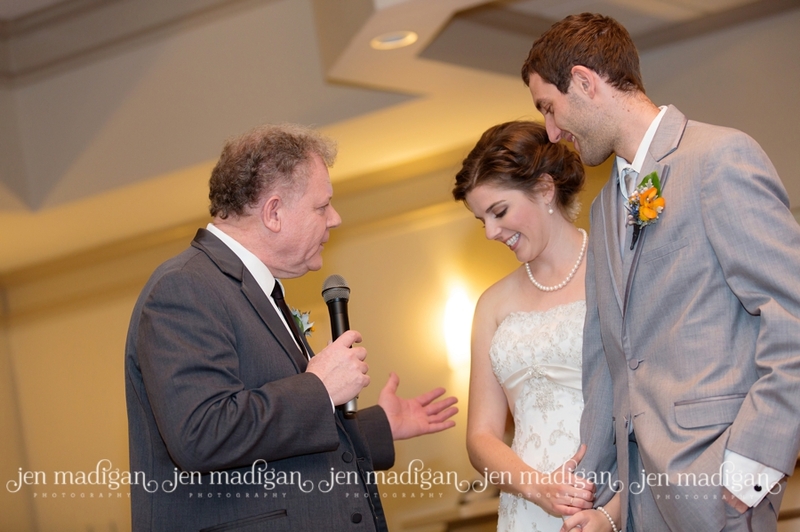 After watching for a few minutes, Lindsey and John joined in. 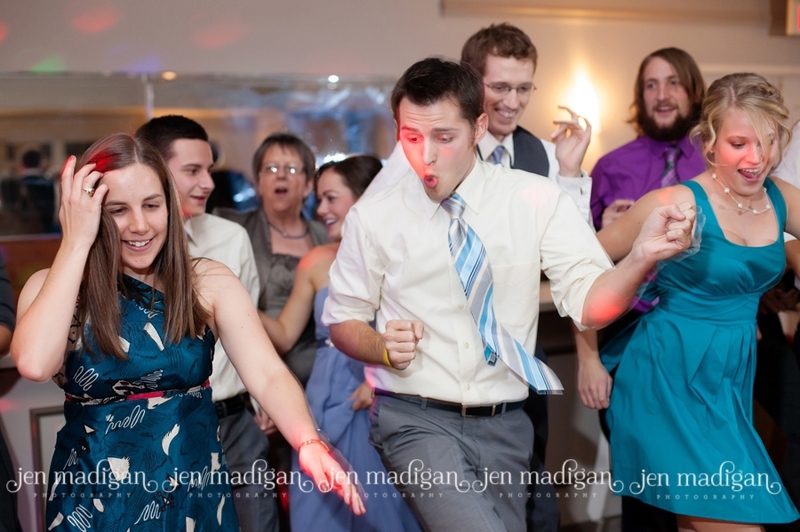 This was the best thing I've seen in awhile - fun and hilarious.